- Remove the Kale stalks and thinly slice the leave. - Take a large bowl and gently gently massage the kale. - Set aside while you make the dressing. - In a small bowl whisk together olive oil, vinegar and lemon juice. Add salt to taste. 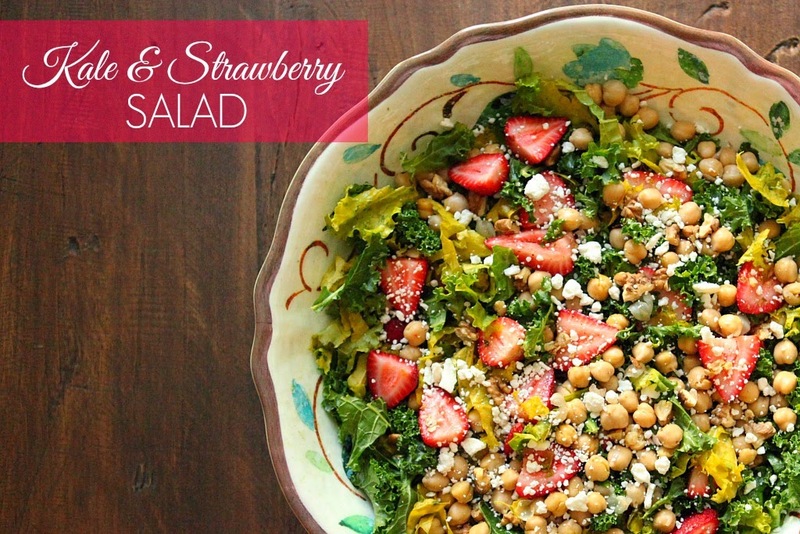 - Add strawberries, chickpeas and walnut in the large bowl. 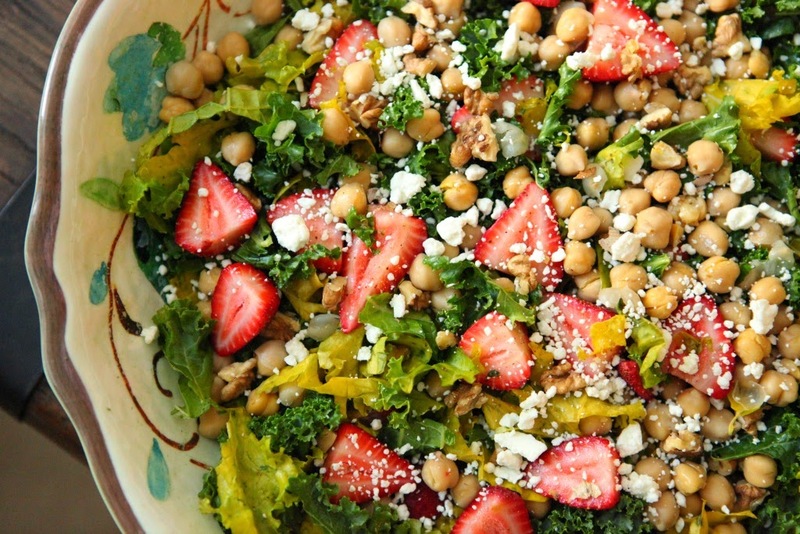 - Pour the dressing over kale and other ingredients. Toss is all together. - Garnish with the goat cheese crumbles and serve.